Our unit is perfect for when you have business in New Lynn, Avondale and Henderson - or as a home base for a small family. The large, sunny, well appointed, 2 bedroom unit is in a quiet, no-exit street. A private, enclosed courtyard leads into the large open plan kitchen, dining and living area. It’s an easy walk to Green Bay for a high tide swim in the summer, and just a couple of kms away is the new Readings Cinema in Lynn Mall for a meal and a movie. • The 2 bedrooms have very comfortable beds and high quality bed linen. Cleaning, linen and basic pantry items are included in the tariff. • We prefer 14 nights minimum booking for which cleaning and linen is included. • We'll accept shorter bookings at the flat if it is available, but a cleaning fee will apply. • Please enquire about long term rates/bookings over 3 months. 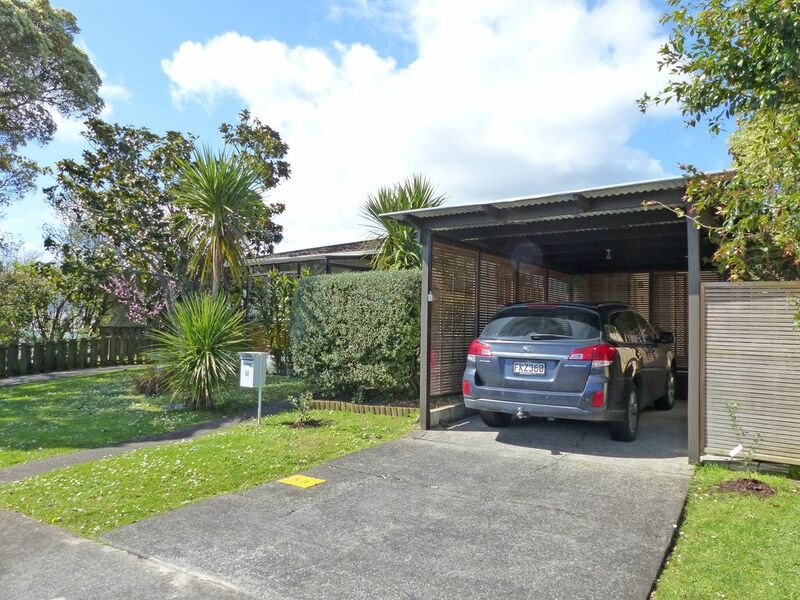 Carport for 1 vehicle and plenty of off street parking available.